I am a writer, lecturer, broadcaster. 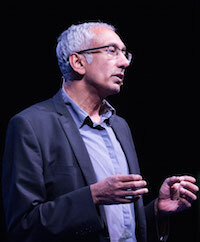 I have presented Analysis, on BBC Radio 4, and Nightwaves, BBC Radio 3’s wonderful arts and ideas programme and was, for many years, a panelist on The Moral Maze, also on Radio 4. I have written and presented a number of radio and TV documentaries including Disunited Kingdom, Are Muslims Hated?, Islam, Mullahs and the Media, Skullduggery and Man, Beast and Politics. I am a columnist for the Observer, and an occasional columnist for the New York Times and Göteborgs-Posten. My last book was The Quest for a Moral Compass: A Global History of Ethics, published by Atlantic. An updated version of From Fatwa to Jihad, with a new Afterword and a new subtitle (‘How the world changed from The Satanic Verses to Charlie Hebdo‘), was published in 2017. Previous books include Multiculturalism and its Discontents: Rethinking Diversity After 9/11 (Seagull, 2013), Strange Fruit: Why Both Sides are Wrong in the Race Debate (Oneworld, 2008), Man, Beast and Zombie: What Science Can and Cannot Tell Us About Human Nature (Weidenfeld & Nicolson, 2000) and The Meaning of Race: Race, History and Culture in Western Society (Palgrave, 1996). From Fatwa to Jihad was shortlisted for the 2010 Orwell Prize while Strange Fruit was on the 2009 Royal Society Science Book Prize longlist. I studied neurobiology (at the University of Sussex) and history and philosophy of science (at Imperial College, London). I have lectured at a number of universities in Britain, Europe, Australia and the USA. My main areas of academic interest are the history of ideas, the history and philosophy of science, the history and philosophy of religion, the philosophy of mind, theories of human nature, moral and political philosophy, and the history and sociology of race, immigration and identity. Politically, I take my cue from James Baldwin’s insistence that ‘Freedom is not something that anybody can be given. Freedom is something people take.’ In the 1980s I was involved with various far left organsiations and antiracist campaigns including the Newham 7 campaign, the Colin Roach campaign and East London Workers Against Racism. I have written of how the Salman Rushdie affair helped transform my relationship with the left; the Rushdie affair gave early notice of the abandonment by many sections of the left of their traditional attachment to ideas of Enlightenment rationalism and secular universalism and their growing espousal of multiculturalism, identity politics and notions of cultural authenticity. As a result, much of my political campaigning over the past decade has been in defence of free speech, secularism and scientific rationalism. More recently mucho of my work has revolved around issues of class, identity and immigration. When I am not writing, reading or talking, I am usually listening to Blind Willie Johnson or Anouar Brahem, Cedric Burnside or Nina Simone, The Black Keys or Maria Callas, watching Liverpool play thrillingly (that used to read ‘Liverpool playing badly’ but that feels like history) or playing the cello (even more badly). My great novel is, like Mrs Rochester, locked away somewhere in the attic. 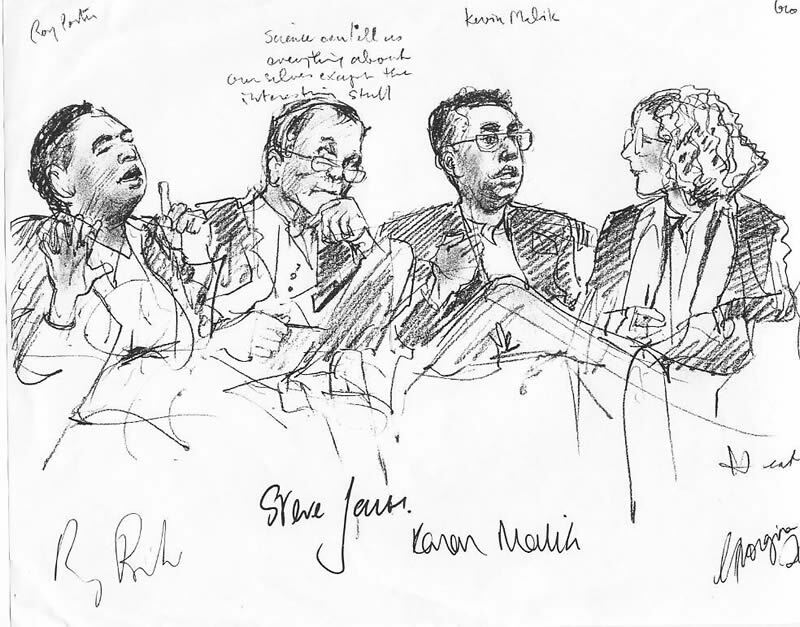 The picture, by the way, is a sketch of Roy Porter, Steve Jones, Georgina Ferry and myself speaking at the Cheltenham Festival, 2002.